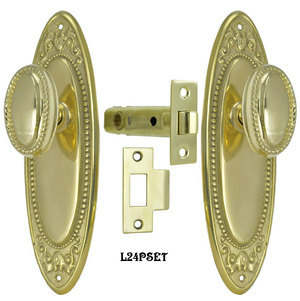 Great Art Deco door set, with nicely beaded detail and scrollwork at the top and bottom. This is a non-functioning dummy set. 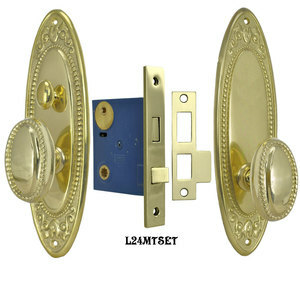 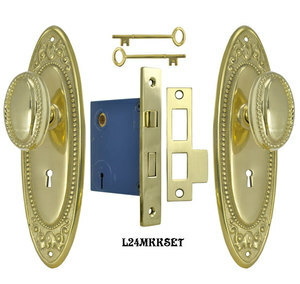 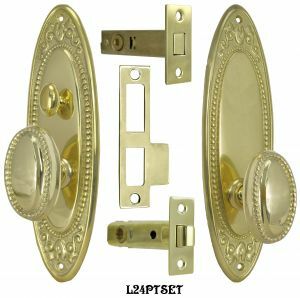 This complete door set is cast in solid brass. 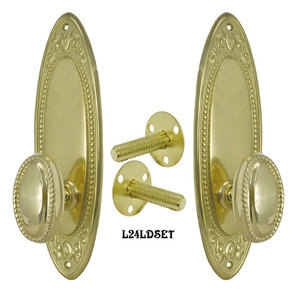 Available in our Polished Unlacquered Brass, Antique Brass Finish, or matte black Oil Rubbed Bronze Finish. Door Plates: 2 7⁄8" wide x 9 ¾" tall. 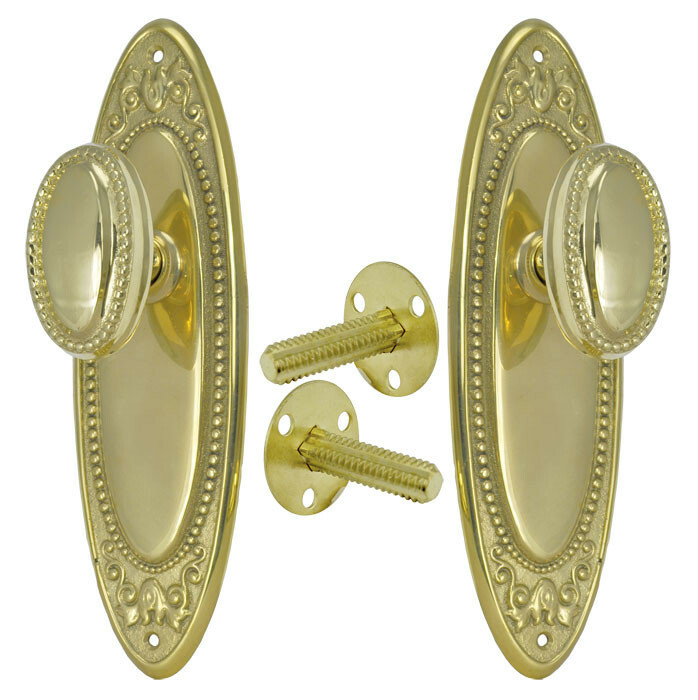 Doorknobs: 2 ¾" tall x 1 ¾" wide. 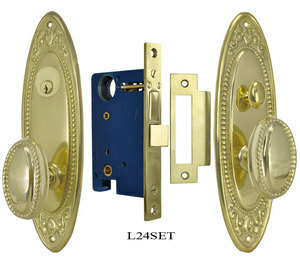 Each projects 2 ¼".